Riviera Nayarit is proving its reputation as the preferred destination for sport fishing enthusiasts, as three tournaments have already been confirmed for 2012. 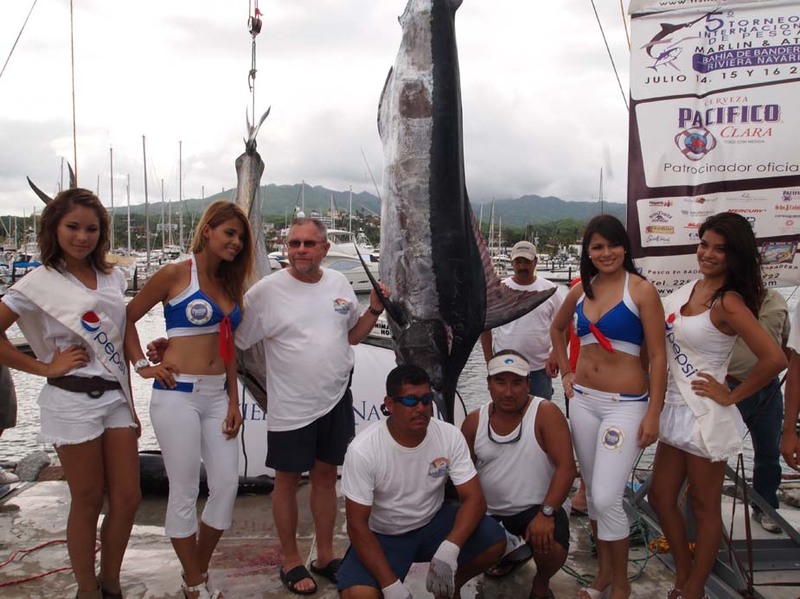 The Bahía de Banderas Sport Fishing Club has announced the 6th International Tuna and Marlin Fishing Tournament in Riviera Nayarit, which will take place in Marina Riviera Nayarit at La Cruz de Huanacaxtle next July 12 - 14. Just after finishing the International Sport Fishing Tournament of San Blas (May 30 to June 3), the announcement of the Tuna and Marlin Tournament is a validation of the privileged conditions that set Mexico’s Pacific Treasure apart for fans of this sport. Experts consider Riviera Nayarit as one of the best destinations in the world to do sport fishing, since big game can be found throughout the year: wahoo, sailfish, dolphin-fish, tuna, three different species of marlin, sawfish and snapper guarantee a great fishing experience all year-long. Furthermore, Riviera Nayarit offers world-class marinas, people who know how to work with fiberglass, specialized technical personnel to fix all the gadgets found on a ship, delectable restaurants, luxurious hotels and the required infrastructure. The organizers are expecting competitors to break all 2007 weight records, which were 332.3 kilos in the marlin category and 176 kilos in the tuna category. To encourage participants, additional prizes have been put forward for the first record-breaking tuna. This year, the Banderas Bay Sport Fishing Club has defined four different categories: the two that give this competition its name and that offer the most important prizes (tuna and marlin), and additionally dolphin-fish and sailfish categories in a catch and release form, with special prizes. Competitors can register in teams of up to four members per boat. Only non-electronic rod and reel, 130-pound lines and simple bait will be allowed. On the sailfish category, each participating team will have to take a snapshot of each one of their catches, including a timestamp. The winning team will be the one that catches the largest number of fish. In the remaining categories, the winner will be defined by the weight of the catch. The Convention and Visitors Bureau (CVB) of Riviera Nayarit considers that supporting events of this kind is instrumental to its promotional strategy, not only because of the number of tourists that they attract, but also because they provide an important stage for the international media that covers these events. Off The Hook Adventures is the best mexico fishing guide, we provide saltwater fly fishing,mexico tuna fishing, bottom fishing, saifishing, baja fishing, baja east cape, mexico flats, bonefishing, permit, tarpon, offshore, inshore, marlin and rooster fishing.